Finally, the last missing feature from years of using Apple's Aperture has come to Capture One: do not duplicate images during import. Oh, how sweet this feature is! 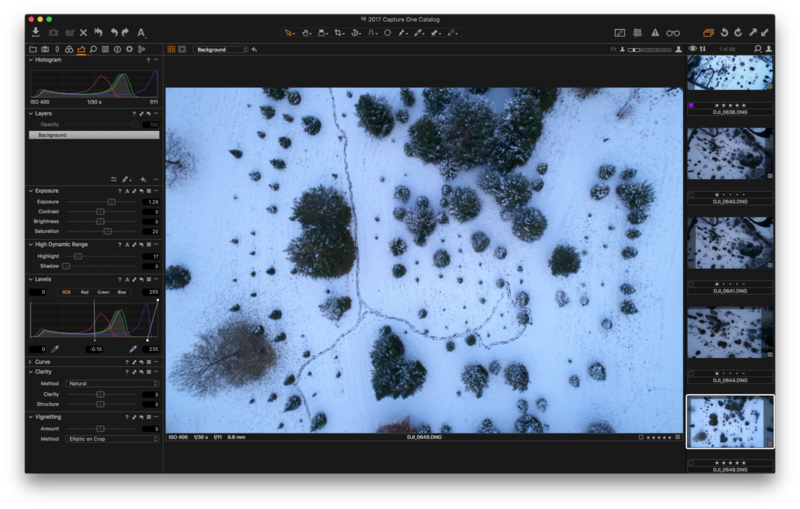 My workflow has adapted to ingesting images less and tethering more frequently, but when flying my Phantom 4 Pro quadcopter, I import images between battery changes as much as possible. Not that I plan on losing my quadcopter, but it is the only camera I use without redundancy in the form of storage. Never mind that it's 400 feet overhead; I bring my 13" MacBook Pro and Capture One with me when I fly to import frequently. Having Capture One reliably filter and exclude duplicate images that have already been imported is welcomed a time saver. Checking and verifying cards after importing is another area where this tool is remarkably useful. Once images are imported, I typically check files on memory cards in the camera against what was imported into Capture One. I back up to a second card in the camera, so typically I can do that comparison side by side. Having Capture One confirm if all images on a card were imported into a catalog is not only convenient but reaffirming. I try really hard not to format a card until a job is complete, which includes backing up locally to a RAID 5 array, then to a second drive at my desk, to SmugMug, as well as offsite on another physical drive. If I'm super busy, sometimes that means shooting on a card again so it can be backed up again before formatting it, and this feature automatically eliminates any redundancy. Initially, I was confused at the absence of the layers tab, given that every tool can now be applied to a layer. With layer dependent blending and opacities now available, it seemed odd that the tool tab would disappear. After using the software in a workflow, it became clear that it was no longer necessary since so many new tools (every tool except black and white, film grain) can be applied to a layer. 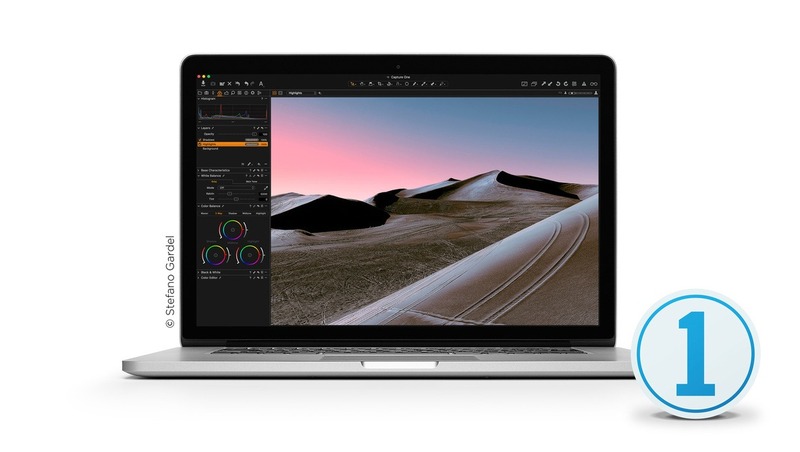 It makes sense once you get going, and while it would seem to deserve its own space, it's better integrated into color corrections and retouching throughout the other tool tabs. Feathering and layer masking with refinements, plus layer opacity adjustments available after the fact, will take image corrections to a whole new level without having to leave Capture One! I've found that images requiring extensive retouching and layer adjustments end up being finished last so as not to have to leave Capture One. 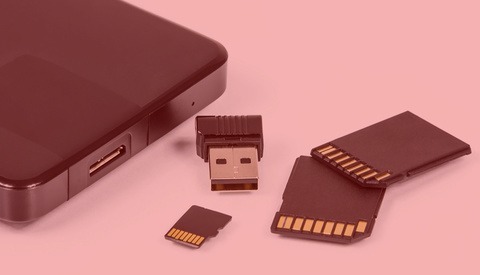 The more functionality it has natively, the less time it takes to leave the software. Depending on how you work, this feature will really be useful. It appears to be intended for working with other creatives. If your workflow includes a separate retoucher, it's an especially brilliant feature. I retouch my own images and see this as useful to send planning notes to a client directly on a location scouting image. That's quite valuable to me, and will absolutely improve the quality of my finished work through cohesiveness. It brings a new tool to the table as to how users can communicate with clients and other creatives. Crops and annotations can be exported as a PSD file with layers and paths, which can be toggled on and off by a retoucher to see precisely where adjustments need to be made. I've wrestled with the crop issue in the publishing world for years: do I send a full-size image for additional layout flexibility or crop it so it looks at its best? Thus far it has depended on how much I trust a designer but now I have the option to include the full and cropped versions. Load time matters, and for the massive catalogs I work with, the time adds up. Earlier this year I led a webinar with Capture One's brilliant David Grover on "Maximizing Catalog Organization." In that webinar, I was using a new Capture One catalog for 2017 which now contains approximately 1.5 TB of data and tens of thousands of 14-bit raw images. For reference, it is stored on a four disk RAID 5 Thunderbolt array. 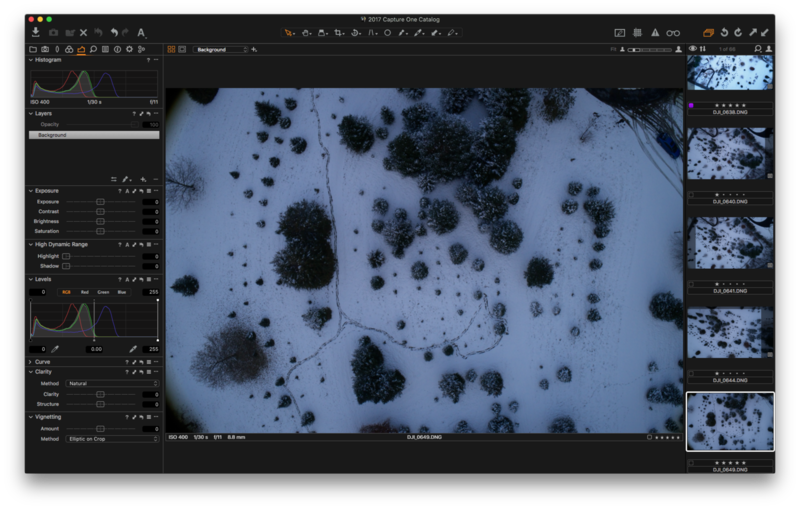 Many of those files were created with a 36.3 megapixel Nikon D800E, along with DJI Phantom 4 Pro DNG files, Nikon D4 raw files, plus the occasional Sony, Fuji, and Canon camera. That's a great deal of data to manage including a wide array of file formats, not to mention many layered TIF and PSD files. My MacBook Pro is quite underpowered so I didn’t notice a significant time saving, but the duration has also not increased as the catalog has grown. The massively welcomed before and after was added in Capture One 10. Its addition was easy to miss but the feature works globally on an image, or on a specific setting, by option-clicking an undo button for a quick look at an adjustment. The ability to set a single shortcut key for a global before and after would be a real time saver, aside from the undo button. The image preview in the browser will also toggle with the before and after preview. The only hangup I ran into during migration to Capture One 11 is that my old process recipes didn’t follow. I first noticed this in beta and the issue persisted in the full version. 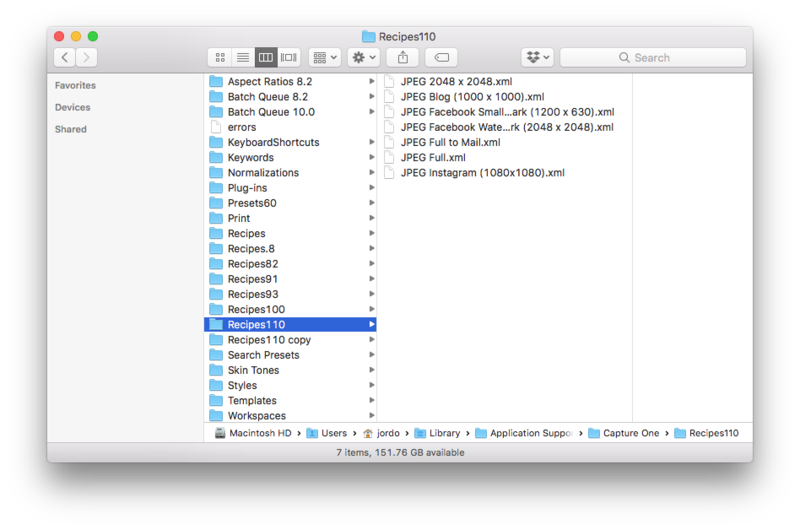 It was easily resolved by navigating to ~Library/Application Support/Capture One, where I found the process recipes in the folder Recipes100 (Capture One 10.0) and copied them into Recipes110 (Capture One 11.0). As I was working in beta 11 for some time, I was working with smaller catalogs so as not to run into issues in my primary workflow. There wasn't a reason for concern but now that Capture One 11 is out, I needed to bring all of my catalogs up to date. Catalog updates were nearly instantaneous, and the process of importing catalogs, including multiple catalogs at one time, is quite smooth. I wasn't sure if two catalogs could be imported into a primary catalog at one time and they could! It is worth mentioning that catalogs do need to be matched or current to Capture One 11 for importing into a Capture One 11 library. Manual image sorting is still lost from within a Smart Album after importing to a new catalog. One workaround is to first rename images in a Smart Album for sorting by file name after, then import the catalog. Everything! Layer opacity is a feature I longed for but didn't know how much I needed it until now. I can almost move on from relying on any additional third-party software for post-processing. The only two reasons I leave Capture One in post-production include layer masks and faster retouching/healing. Local adjustments have gotten all the more powerful, improving quality and flexibility through the software improvements. Styles can be added as a filler layer and intensity adjusted through layer opacity. This deepens the value of a Styles pack by adding refinement and greater versatility. Styles have also been updated and optimized for Capture One 11. Do not import duplicates! This was such an exciting feature to see added to Capture One, it will make my work easier. Capture One is available as a stand-alone purchase. There is a monthly subscription available, but I prefer the former. It’s less confusing and permanent, plus once you're in, updates are quite affordable. Not only that, every update is invaluable and includes features that save time while further enhancing image quality. A 4k/5k interface display option in preferences. Scrubby sliders disappear on a pixel-dense display, but the richness of viewing and retouching images on a 4k display is worth the inconvenience. This is an issue for all of macOS and using three displays each having a different pixel density. Spot news photojournalists would especially appreciate having a radio button during import to process image previews after ingesting the files. That would allow users to begin a first-round edit (selection) as soon as possible and worry about processing (relevant) high-resolution previews later. As image resolutions continue to climb, any acceleration or workflow advantage is significant. Image sorting order preserved after merging catalogs. I typically create a local catalog on my MacBook Pro for each job and later merge them with an annual Capture One catalog stored on a dedicated RAID array. If I manually arrange an edit in Capture One, the sort order reset after importing into the master catalog. There's a workaround here in renaming images, and this is a remnant from nightmares working in Adobe Bridge, I never rename files. If you haven't started using Capture One 11, as always, you can download a free trial of the full version from the fine folks at Phase One. Are you new to Capture One? Or perhaps a seasoned user? What do you enjoy most about using Capture One? What new ways do you find yourself taking advantage of new improvements? What features would you like to see added in future releases? Let us know in the comments below! I have been using a free workflow on my Mac for years now, since the demise of Aperture. I’m sick and tired of being nickel and dime to death! I bought frickin’ Portraiture for two hundred bucks for Aperture, now I’m screwed out of $200.00. I import with Image Capture to my RAW folder in the Finder. From the finder it goes automatically to Capture NX-D, Nikon’s RAW converter. In Capture NX-D I make global adjustments as needed, then I export the resulting TIFF file to Photoshop CS5. You can tether, just like in Aperture or Capture One. This is free, except of course CS5. And it works almost as good as Capture One, but is a million times better than Lightroom, that’s for sure. been using C1 since it came out kinda went through a rough spot last few version were less than stellar and having issues of crashing ? tethering is its strong spot for sure and nothing can tether like C1 ! Radial filter like LR would be awesome. Vignette always assumes your subject is dead center, but there are plenty of times I want to hightlight off-center. Add GPS/map support to the catalog too, it's handy. 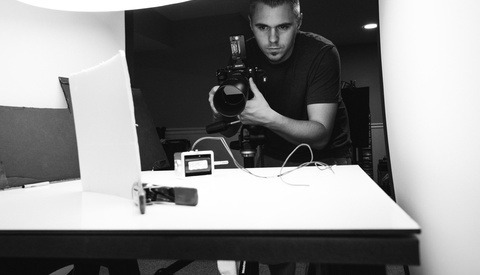 For tethered shooting it is far superior to LR. I am slowly learning how to use more of it. "Finally, the last missing feature from years of using Apple's Aperture has come to Capture One"
Well from the DAM-side there are definitely still a lot of features missing, most notably the lack of geotagging support. Keyword handling and metadata filtering are still subpar compared to Aperture. Arguably, automatic face recognition would be nice as well for some users, as well as the option to have a 'Light table'. On the plus side, it has excellent tethering support, RAW conversion and possible adjustments are better IMHO. Additionally is has quite extensive AppleScript support (though not as extensive as Aperture). I'm afraid I'm still stuck to ancient Aperture. I also throw an eye to Capture One, even more since Lightroom 6.14 is the final version, and I don't like to pay continuously every month for software. I did not try it out so far, since it's an important decission, to change software, and I need myself to take some time to check it out. Trial period is one month. So in this time I have to decide; change or not. But one thing I'm missing already in Capture One. 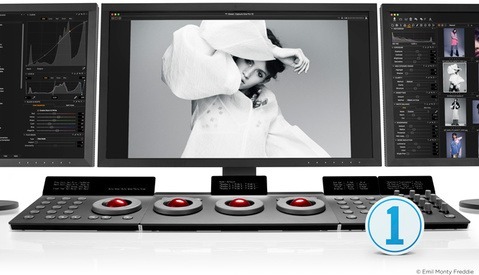 It seems not to be possible to use colour correction tools like x-rite colorchecker passport or datacolor spydercheckr. Capture One obviously cannot handle dng camera profiles (x-rite) or the Lightroon-preset-file (datacolor). Or it there any posibillity tu use colorchecker or spyderchecker in Capture One? Good software. Terrible company. Make sure every little feature works for you before you purchase because once they have your money they won't give it back and they will not work with you at all. Literally it will be "Well, you didn't notice this before purchasing? Now we can't give you a refund." I have used capture one 11 (C1( for a year or so now after being a lightroom (LR) user for years. I switched when Adobe decided to start renting its software. Raw files straight out of the camera look pretty good immediately in C1 and, like LR, it has an auto adjust feature and, unlike LR, it actually works very well. Colors are very nice in C1 by default and images are much sharper than in LR by default. There is a BIG learning curve moving to C1 from LR, however - I'm still learning some of the rules and quirks after a year. C1 has an very complex color management system. It's very powerful and I'm just starting to understand it all. It's far more complex and capable than LR. I have 18k images in my C1 catalog and it is incredibly slow searching for a particular image out of all images. If I search all images for, say, an image name which contains "123" or all images tagged with keyword "barn" it normally takes around 20 minutes. This is pretty frustrating. Searching the same catalog in LR searches the entire catalog and shows the results instantly - no delay at all. You can import your LR catalog into capture one but I had a hell of a lot of problems doing so. In the process of importing ~18k images from my LR catalog into C1 - C1 created a virtual copy (what it calls a "variant") of every single image I imported and I had to manually delete every variant (no, it's not supposed to do that). When I run C1's Verify against my database/catalog it always tells me that my database is corrupt and needs repair. I run their repair process and about 99% of the time it tells me that my database cannot be repaired. Strangely it seems to mostly work ok anyway. you can view GPS info on your images in C1 but you cannot edit it. Sometimes I have photos that lack gps info which I find later and want to add but can't do in C1, so I go to my copy of LR and add the gps info to the photo there. I've submitted numerous bug reports to them. The plus side is that you get tech support with your license; the minus is that none of the bugs ive come across have been fixed- including the database corruption issue. Tech support is very responsive but they don't seem to really look into these bugs- they just file them and ignore them and after a few months they just close them. I think management is laser-focused on adding new features and fixing bugs is pretty far down their list. I have very mixed feelings about C1. With all the problems I have run into and their seeming indifference towards fixing bugs I'm thinking of switching to a different tool but the prospect of migrating all of my photos- again - from C1 to another tool has do far prevented me from doing so, plus the fact that changing photo editors will address some of my C1 problems but I will have a whole new set of bugs to deal with in the new software. Also, this is Danish company and management is in Denmark so you cant talk to anyone in management unless you speak Danish. Totally agree about Adobe renting their software. Even so, the image quality of Capture One is aces like you said, like getting a camera upgrade. I have sent a lot of feedback to Phase One and depending on who gets it, have gotten responses. They can't address everything of course but they take user feedback to heart. I doubt it has anything to do with me but requests I've made for features have shown up in the software. Metadata isn't revisable, which is a security thing I guess, but it's a problem for me when I scan film images and can't append them with the date of capture, camera/lens type, film scanner info, etc. Like you, I have had similar catalog issues but only having 8 GB of RAM in my MBP that's been on me. I create a new annual library every January 1 to keep the catalog size manageable which helps. You could always try a clean install and go from there. 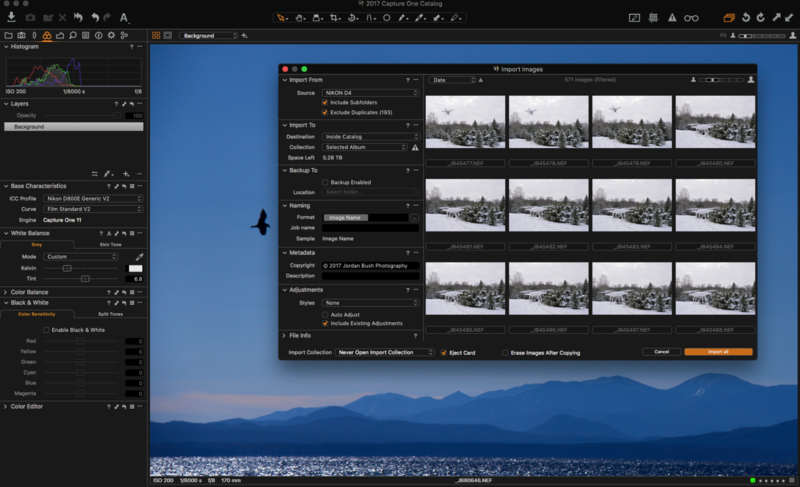 A trial (and test library) of Capture One 12 might be worth looking at to see if it's any more stable for you. Layer functionality has is getting better, but I sadly still resort to Photoshop for layer masks and extensive retouching. My shortcuts are customized to match Aperture 3 when I migrated but yeah, it's deep software, a lot to take in.